Vegas on the North Sea? Yes I know, not just Yarmouth, but GREAT Yarmouth. Also known as Las Vegas on the North sea. Rather sad really, Las Vegas without the sunshine, the sea without the fresh breeze. Over the last months working with the the old buildings in this town I have learnt never to judge a village center by first glance. There are some amazing Edwardian Hotels waiting to rise like a phoenix, old rides that are still cool. And actually the whole place has been maintained by neglect. 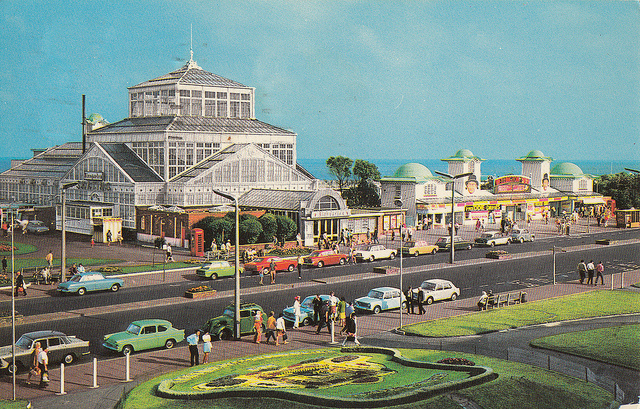 Glory days… But the winter gardens is one of the biggest challenges ahead. Would be amazing! The whole town was built on the money made from silver darlings, herrings. And they still sell the very best kippers you have ever had! What do you think? Will more people come? Will more people leave? Time will tell. At least we have a super enthusiastic team of conservation officers in place and a supportive Borough Council… With all the sad and terrible things happening in the world, rebuilding and treasuring what we have must be on the political agenda! Fingers crossed for the elections! Yes, I know… it has been almost a year. So about time to get back in the saddle. In the meantime I have been pretty busy. There are many things to learn in the countryside. But the most important is simply to live, but more importantly to live simply. Quite some time ago I wrote with great pleasure about growing up, loving to drink Roosvicee. Today I made it myself. For free. 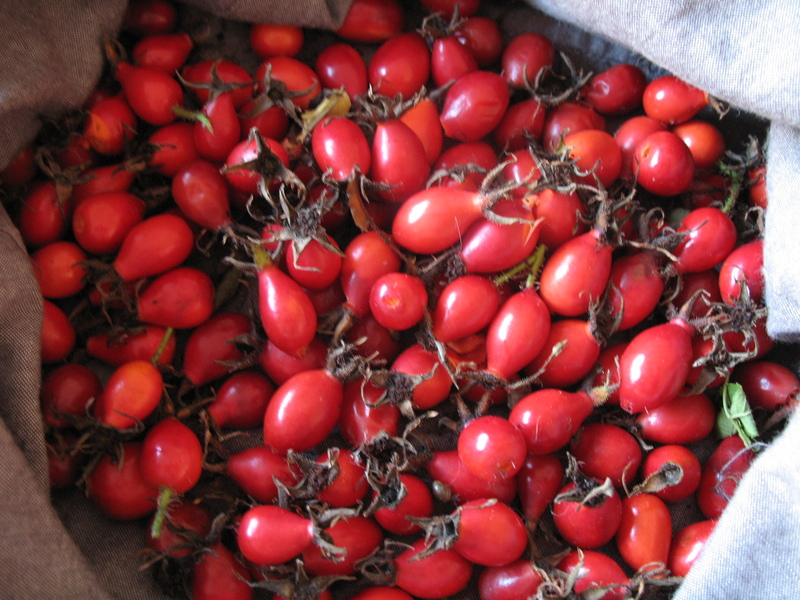 It is nice how the online recipe for Rose hip syrup looks so simple, but isn’t. Then to boot, at the bottom of the comments, a reader lamented the poor advice, explaining that temperature and cooking pots had to be significantly different. (no metal with acid, no boiling vit. C.) Pfff. Fussy. In a way, the way I made the syrup today shows exactly what I have learnt in the country this year. And instead of getting lost in the very exact details (see comments) and ‘have to-s’ you just follow your gut feeling. 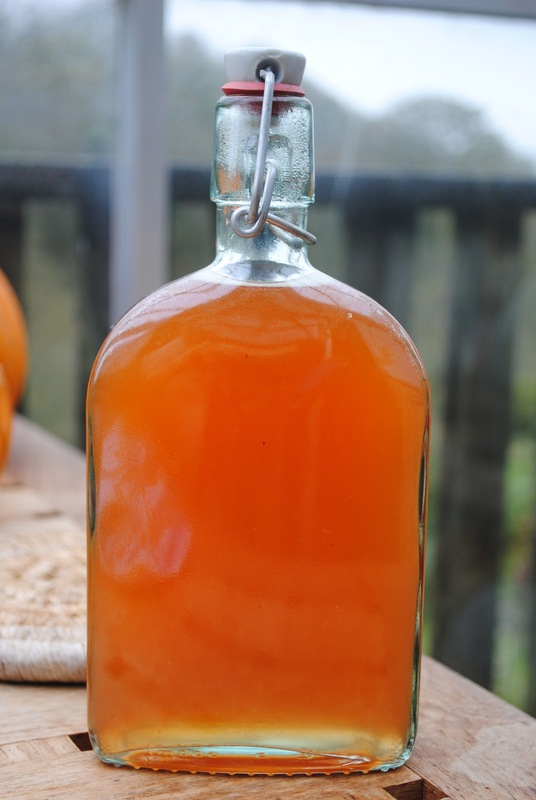 Rose syrup done… Fruity and warming. Bring on the zing. In the end just I simmered the chopped rose hips in an enamel pan. Strained it once, none of this double filter nonsense… Left it to cool. And have been drinking it all day. Wonderful. Burn from the Christmas goose meeting the Aga… Changed my life (line) for ever. Have a wonderful new year everyone! Tags: AGA, burn, christmas, goose, hand, palm, reading, scar. 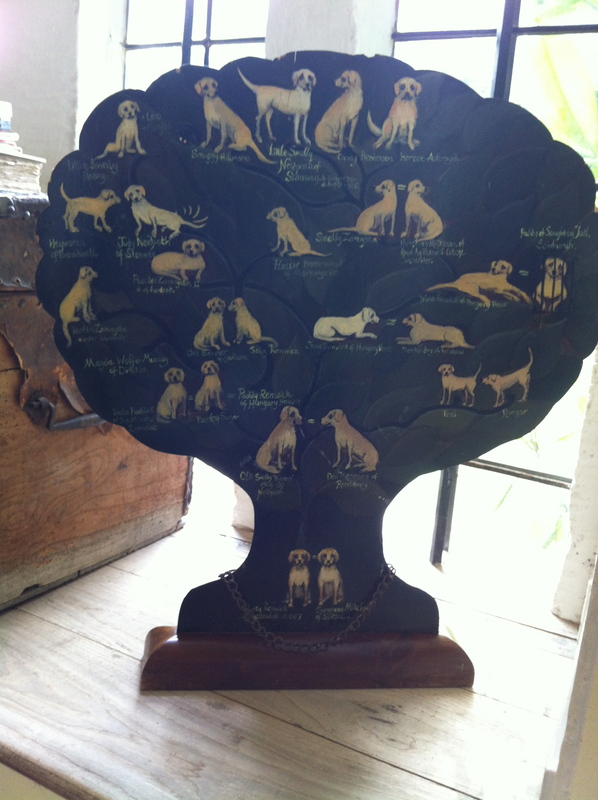 The brits take their dog’s family tree seriously, like this example at Stanway House, Gloucestershire. I think I have now officially passed my Countrification Diploma… I supervised the mating of our dog. Firstly, both dogs are entirely chosen for their bloodlines. Secondly both dogs are mostly picked on their looks, soft mouth and kind character. Thirdly both dogs have to get checked by a vet to rule out any possible defects. And then on top of it all in order to assure conception, the poor dears get stuck to each other for at least a half hour. Talk about a passion killer! It makes me snigger to think to apply this to my next dating experiment. I am sure you could write an excellent short sketch about this. Patrick Baty, blog on colours.